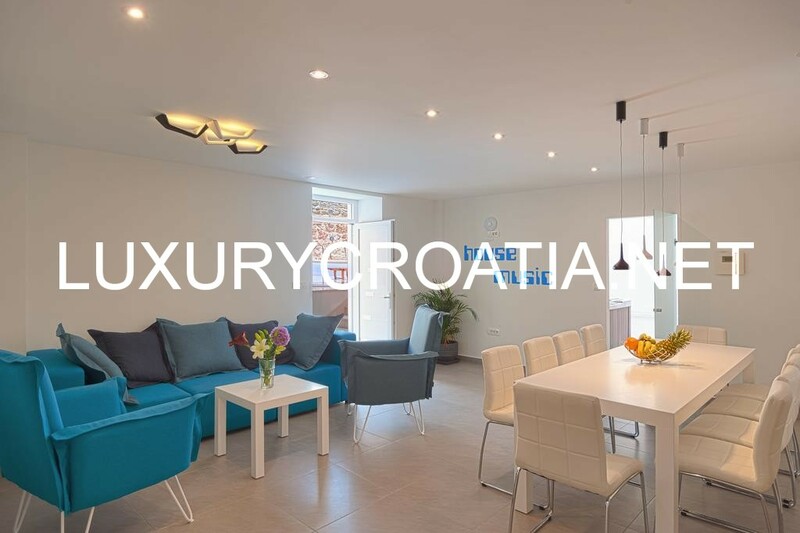 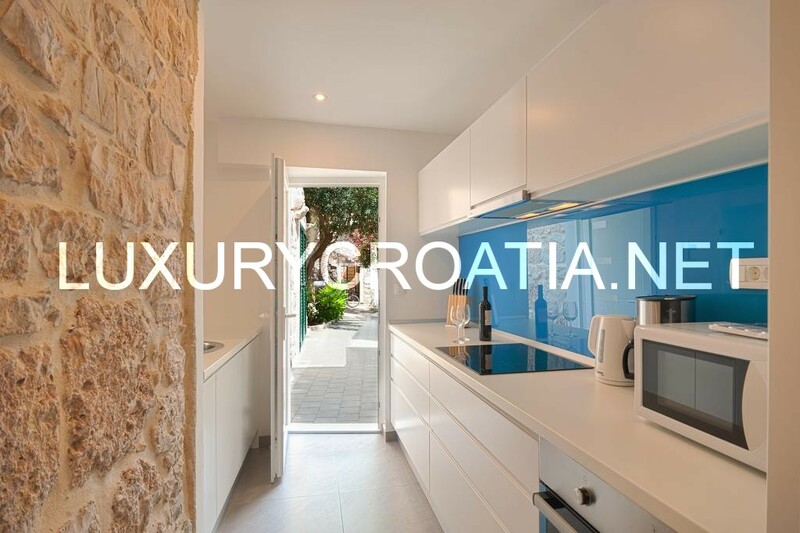 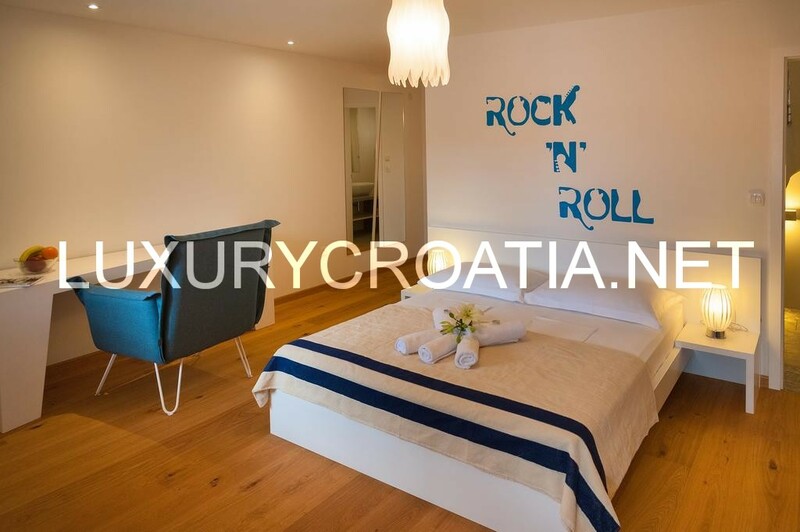 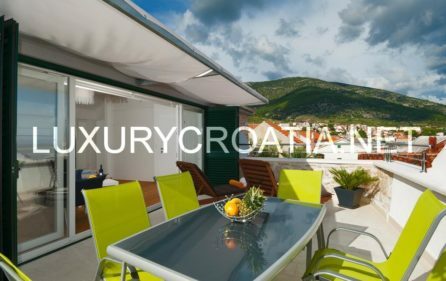 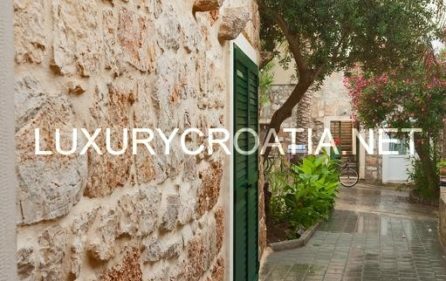 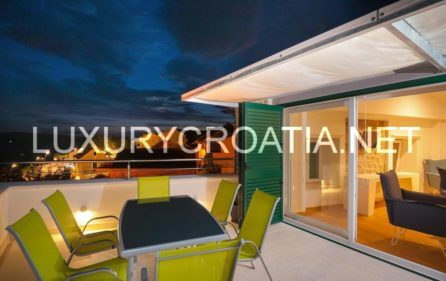 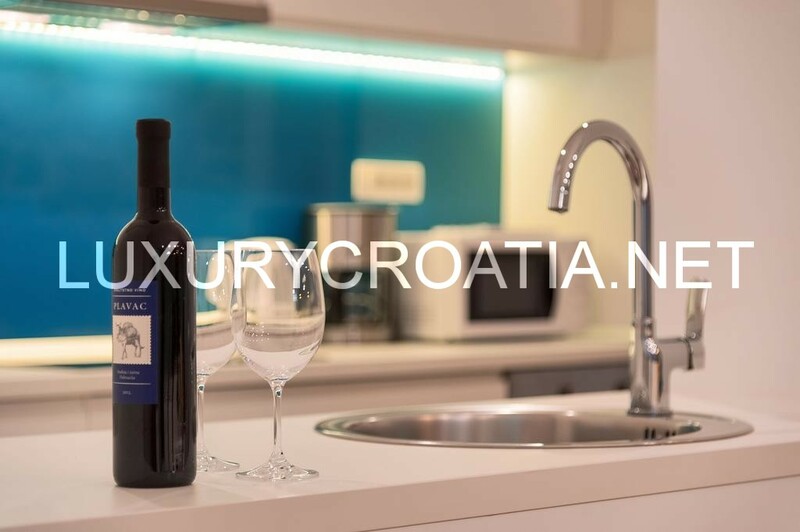 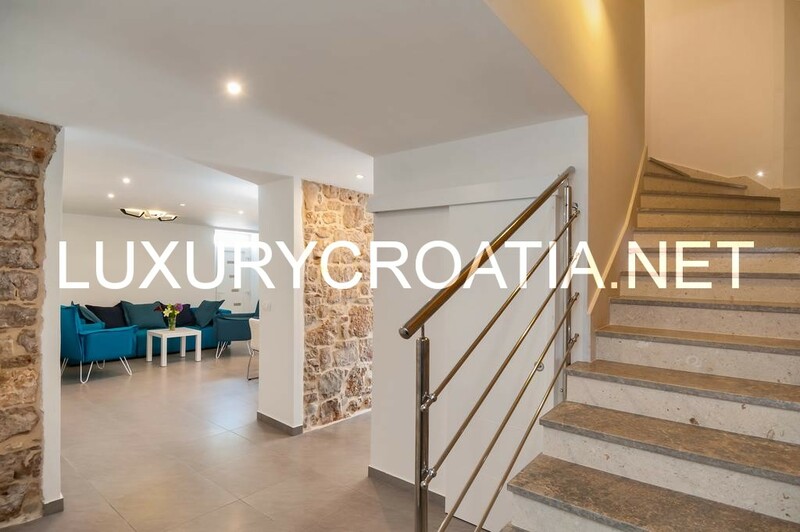 Modern villa with pool and 5 contemporary decorated bedrooms spread on 3 floors is located in the center of beautiful Bol on Brač island. 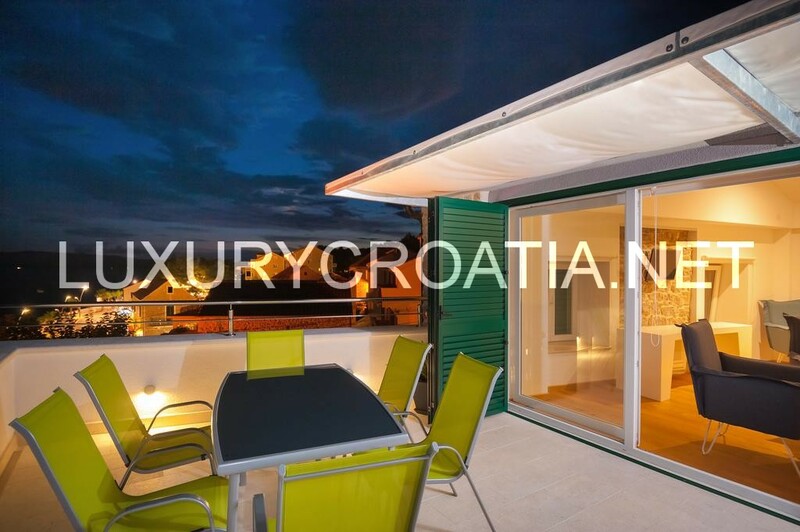 It can comfortably accommodate 10+ 2 persons. Fully equipped kitchen has a dishwasher, kettle and a microwave. 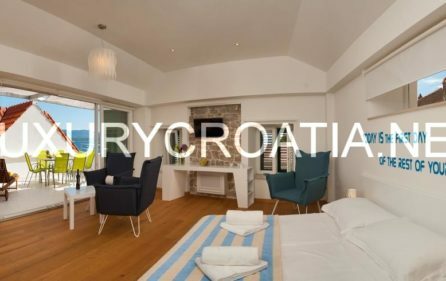 The spacious living room offers a dining area with table for 10 people and features LCD TV, air-condition and free Wi-Fi. 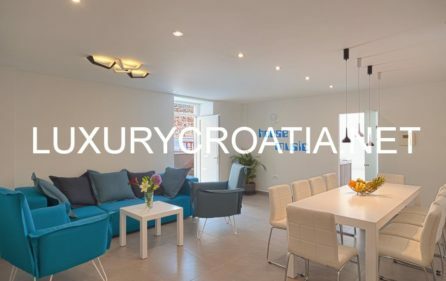 Other facilities like a shared lounge, an ironing service, and laundry facilities are also available. 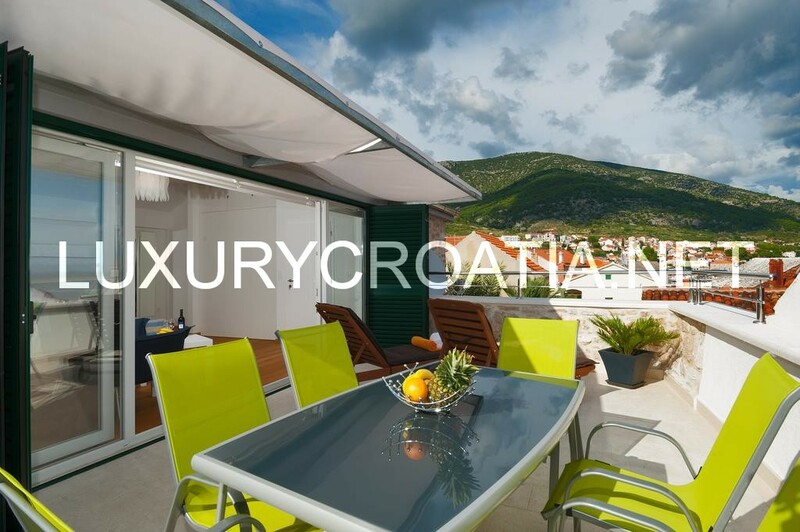 Villa offers a large terrace with views of the surrounding mountains and the sea. 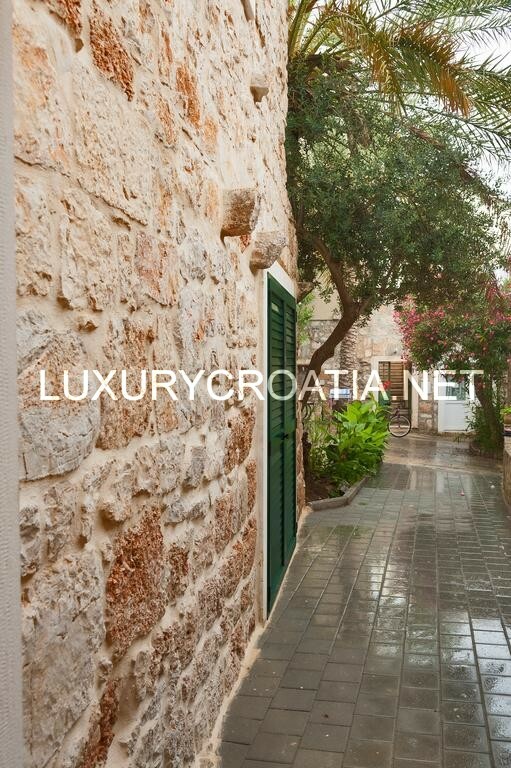 Surrounded by the stone walls, it offers full privacy and comfort while on vacation. 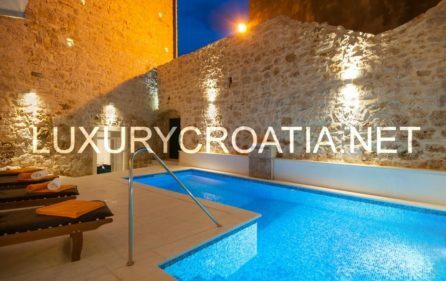 In front of the villa there is a swimming pool with sun beds and for a complete experience, the villa has a Jacuzzi and a sauna. 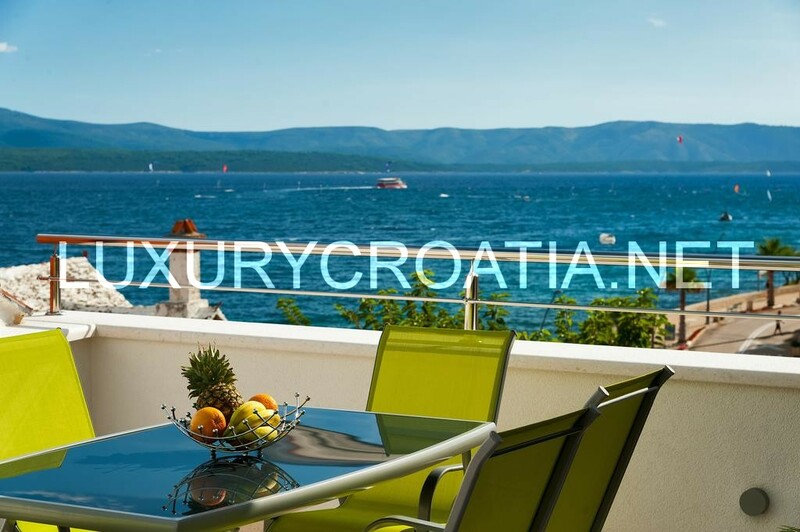 Beach is only 30 meters from the villa. The bus station is 100 meters from the villa and the villa is approximately 300 meters from the center. 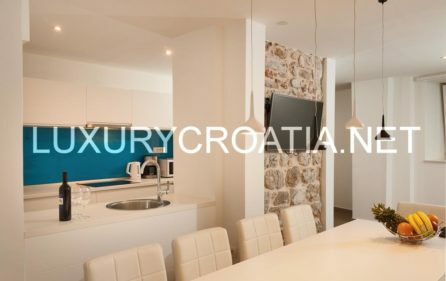 Parking is located 200m from the villa. 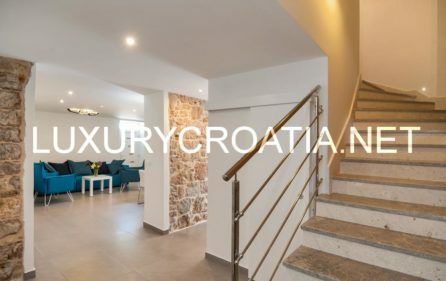 Accessible with a car up to 30m.